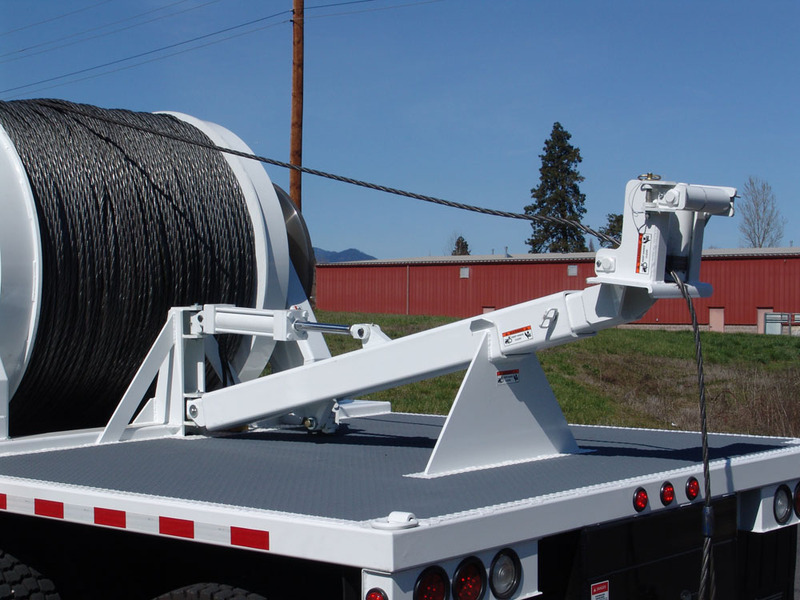 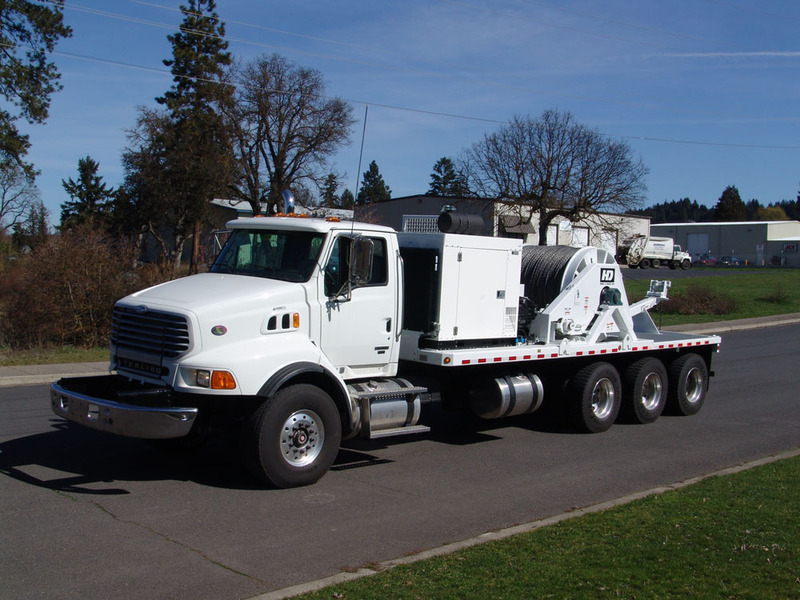 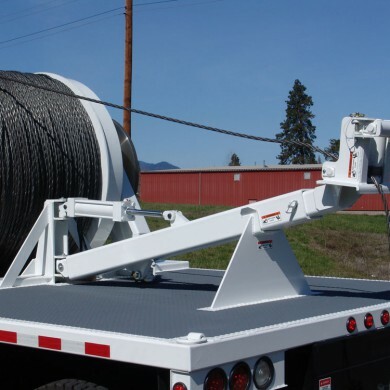 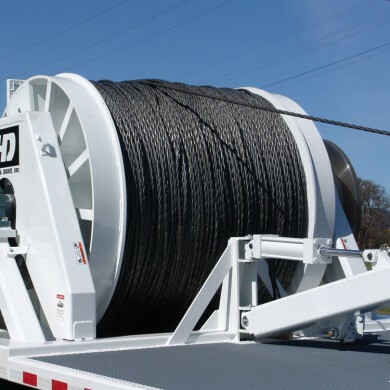 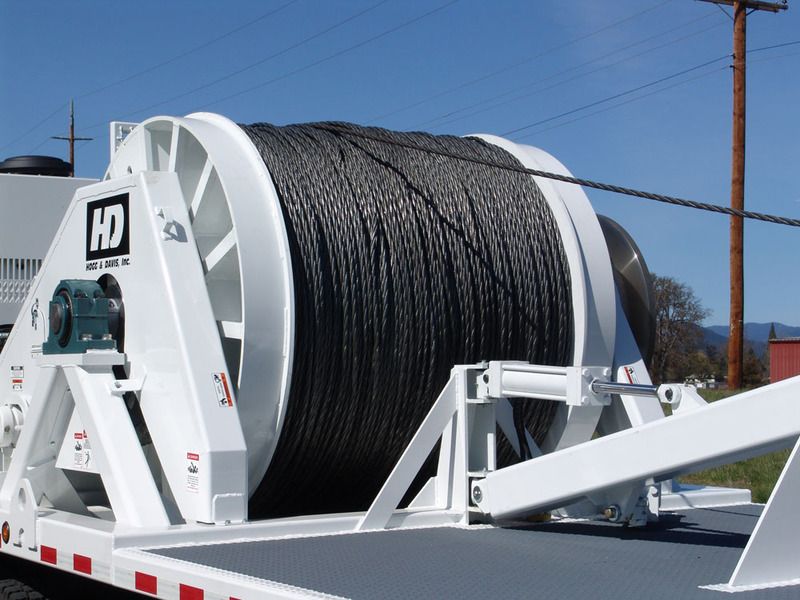 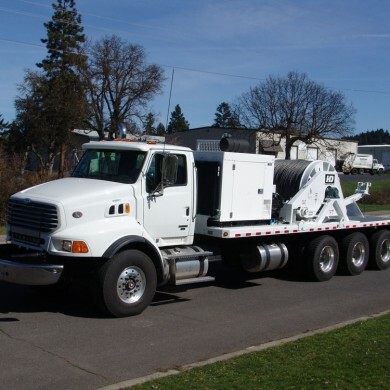 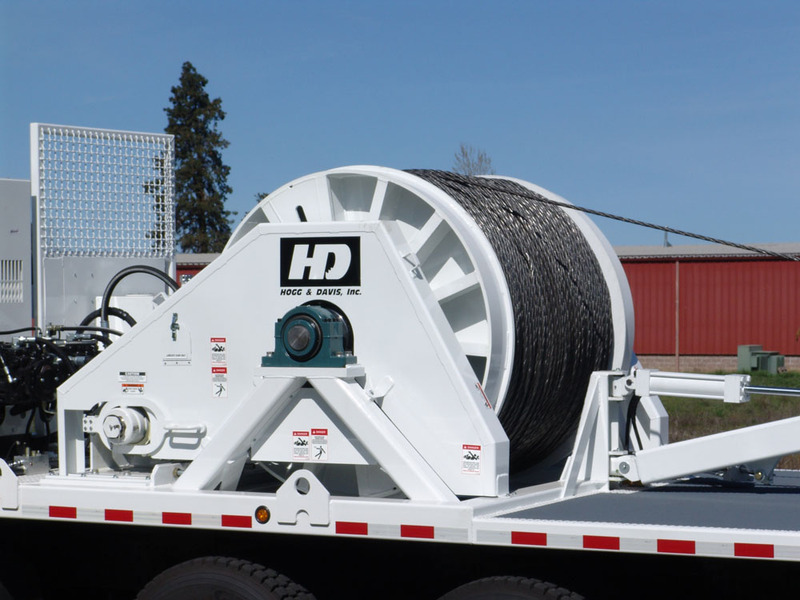 Trailer or truck mounted, this large transmission puller is capable of line pull of 20,000 lbs. 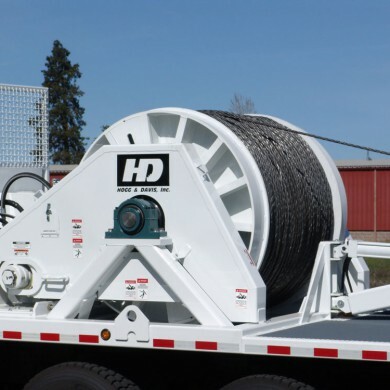 Equipped with a John Deere Tier IV diesel engine, dual planetary drives and a rope capacity of 22,000 ft, this machine is ready for the large jobs. 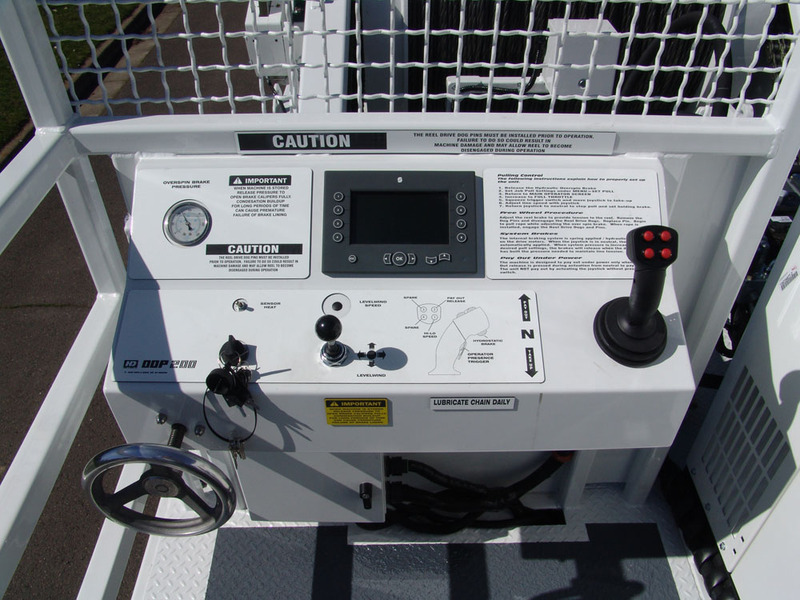 Gauges, joystick control, and all other machine functions are packaged in the operators station. 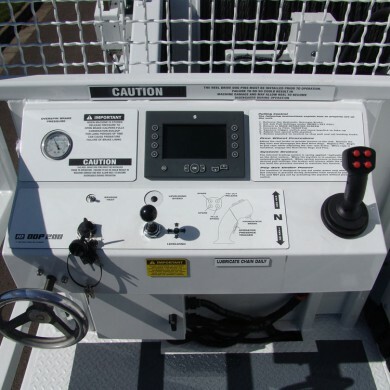 Pre-settable line pull of up to 20,000 lbs and speeds up to 4mph are achieved through the hydrastatic control system. 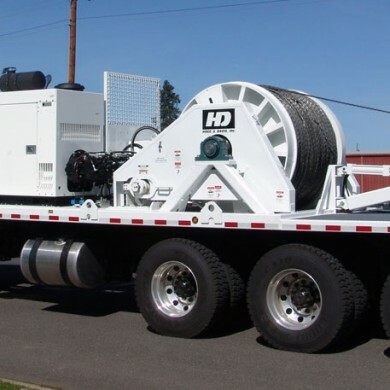 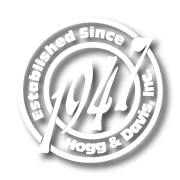 Dual planetary drives that disengage for freewheel payout with a 1045 carbon steel overspin brake and hydraulic control actuator.